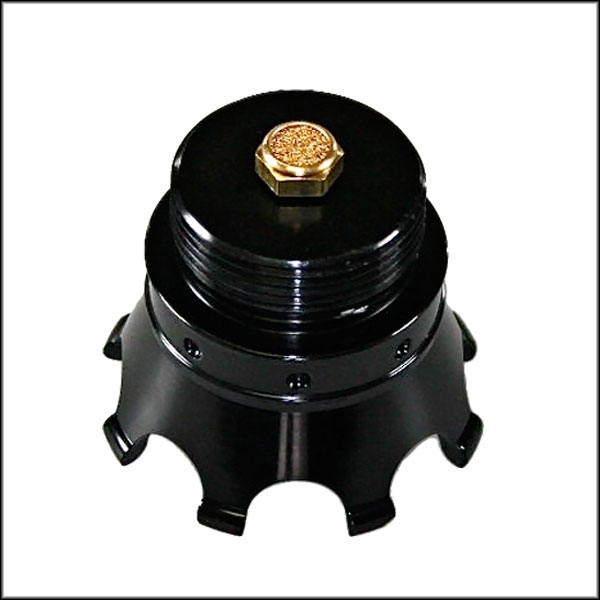 An L.A. County Choprods Original, Our Billet Crown Gas Cap is machined from 6061 billet aluminum and comes in several different finishes, machined, polished or NEW gloss black anodized. Includes our weld in bung (pictured) that can be installed in either direction, one way will position the bung flush with the surface and the other will raise it approximately 3/4 inch or with our new OEM adapter that allows installation in most '82-'17 HD right hand threads without any welding or paint damage. 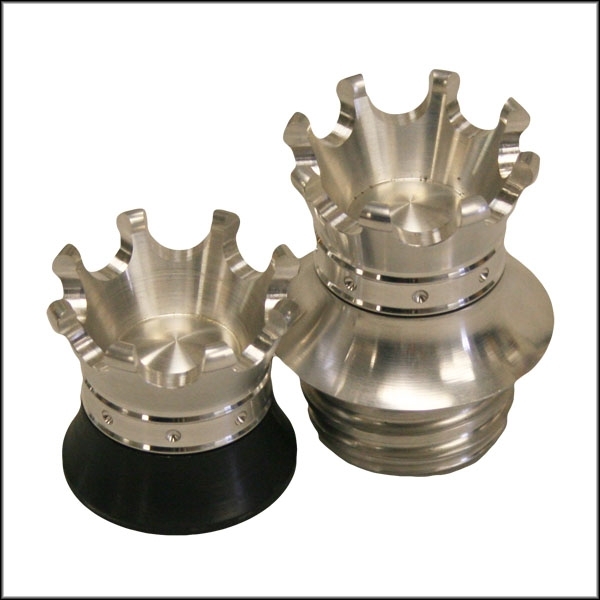 Can be used non-vented or vented, now with our New sintered bronze vent fitting to minimize the chance of fuel spillage. 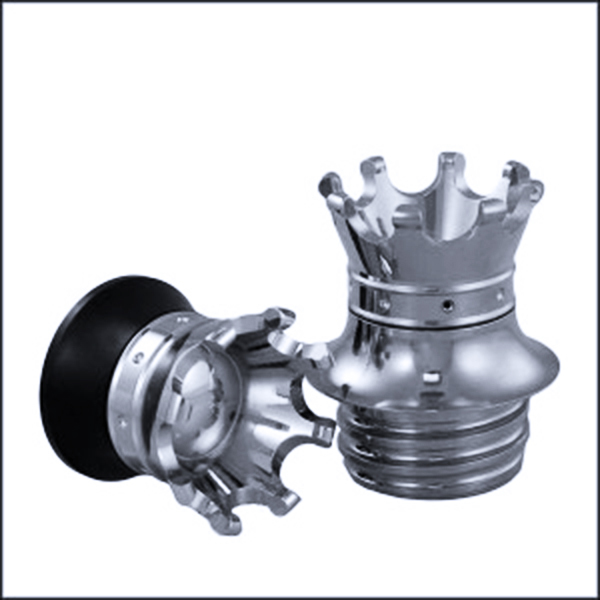 Most OEM (Stock) and similar gas tanks will have a vent tube or system and our Non-Vented option will work best, please check your gas tank and application and refer to the included instructions. Please choose from all option menus.